LOOKING TO IMPROVE YOUR HEART HEALTH? According to the American Heart Association (AHA), more than 1 in 3 women has a form of cardiovascular disease. And, heart disease is the leading cause of hospital stays for men in the United States. Over 750,000 Americans die each year due to heart disease. That’s ONE IN EVERY 40 SECONDS. 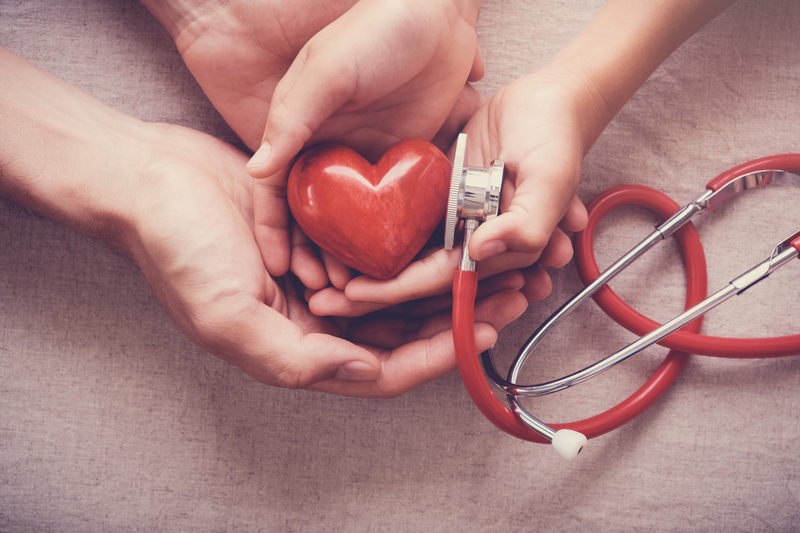 Due to the prevalence of the disease, the AHA recognizes each February as American Heart Month in hopes of raising awareness about the disease and how to prevent it. Stress and Heart Health: While there are risk factors that contribute to heart disease that you can’t control, there are many things you can do to maintain your heart health. One of those things is to reduce your stress. When stress is excessive, it can contribute to a host of health problems, including high blood pressure. If high blood pressure goes untreated, it can result in heart disease. Exercise regularly to get your blood and endorphins flowing. When to Seek Help: If the stresses in your life become more than you can bear or manage with these simple techniques, consider seeking professional assistance. A knowledgeable professional will be able to work with you to devise time management skills and stress-reducing techniques.